Epilepsy is a disorder of the brain characterized by an enduring predisposition to generate epileptic seizures. The glycolytic inhibitor 2-deoxy-d-glucose (2-DG) has been reported to exert antiepileptic effects by upregulating KATP subunits (kir6.1 and kir6.2). We evaluated whether 2-DG exhibits anti-seizure effect by mediating the netrin-G1-KATP signaling pathway in epilepsy. 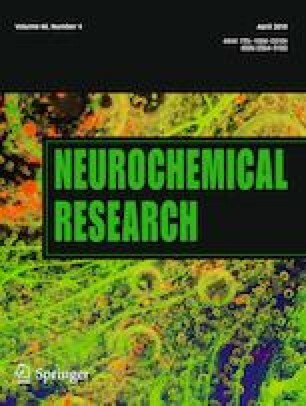 In a mouse epilepsy model induced by lithium chloride-pilocarpine, 2-DG intervention increased the mRNA and protein expression levels of kir6.1 and kir6.2, and these increases were significantly reversed after knocking down netrin-G1 expression. Similarly, in cultured neurons with a magnesium-free medium, we found that the frequency of spontaneous postsynaptic potentials (SP) was increased, and in the meanwhile, expression levels of kir6.1 and kir6.2 were increased after pretreatment with 2DG. These effects were remarkably reversed after knocking down netrin-G1. Thus, our findings show that 2DG exhibits anti-seizure effects through the netrin-G1-KATP signaling pathway. Yuming Long and Kai Zhuang contributed equally to this research. The work was supported by the National Natural Science Foundation of China (81501128) and National Natural Science Foundation of China (81671296). The Jiyizhupao of Third Xiangya Hospital (JY201520). Thanks to the Experimental Animal Center of the Third Xiangya Hospital of Central South University for affording animals. Yuming Long and Kai Zhuang were both the first author to this article. Heng Yang and Zhi Song were both the corresponding author to this article. Yuming Long and Kai Zhuang conducted all the experiments and drafed the main manuscript text. Zhonghai Ji, Yaru Han, Yanqing Fei and Wen Zheng made statistical analysis and prepared all the figures in this article. Heng Yang and Zhi Song designed the whole experiment procedure and supervised the research.